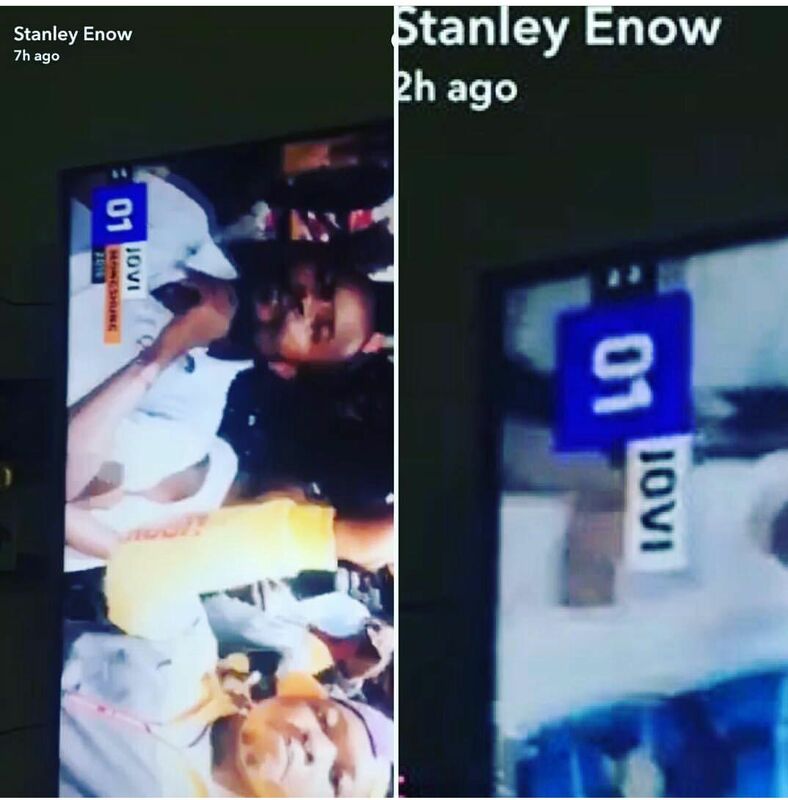 Home Latest ViBes BIG NEWS: Stanley Enow Endorses Jovi's "Munshung"
It all came as a big surprise that A-list Cameroonian Superstar Stanley endorses Jovi’s music since these two are known for beefing ever since Cameroon Urban music started experiencing its comeback breakthrough. The Motherland C.E.O. 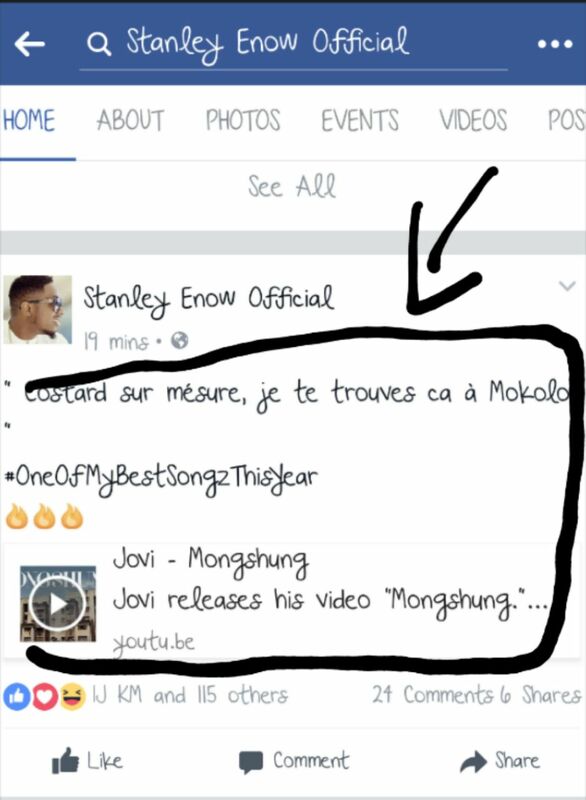 declared his love for Jovi’s Munshung on his snapchat and facebook where he professes his love for the video reciting the lyrics “Costard sur mesure, je te trouves ca a makolo” and hashtagged “Oneofmybestsongsthisyear” while sharing the video on his facebook page. Jovi and Stanley Enow are two big names familiar to every music lover in Cameroon, the two rap entertainers have carved niche for themselves not only in Cameroon but also the rest of the world. With international radio/TV appearances, award nomination, magazine recognition and a huge diaspora fan bases. It is safe to say the two stars are international artistes not just Cameroonian, though Jovi is more home based and has dismissed many international invitations to perform/collaborate or participate (rumors claims that in his early career he turn down offer from Akon to sign under konvict records, and last year he produced a hit song “Shine The Light” for Akon) in showbiz events whereas Stanley Enow is known for his huge international success and regular collaboration with Nigerian Superstars. These two made headlines with huge debut hits in the early 2012 and 2013, first of Jovi‘s “Don 4 Kwat” which motivated most Cameroon artist today to start doing music in pidgin and was highly consider as the first real urban hit in this new wave era and then was Stanley Enow‘s “Hein Pere” which gain international recognition and bagged him Cameroon’s first MTV award thus putting Cameroon on the map. So these two were adjudged the most popular duo in the industry. They were known for throwing public jab at each via songs, tweets and facebook post, and having a divided die hard fans who took sides and exchanged disses too but today it seems like that things are about to change. If these two main peace official and do a colloboration, it will be the one of the best thing that will ever happened to the Cameroon Music Industry. Lets keep our fingers crossed, GOD is still saying something.